Leading e-retail major Flipkart on Monday said it has sold 150 million products till date in 2015, huge growth over 2014 sales by 150 percent. The city-based company stated in Bengaluru,”We have witnessed a 150 % growth in the number of products (units) sold as compared to 2014,”. However, the company has not commented the extensive growth period in the statement, its spokesman told that the units sold was for the “first eight months till date of this calendar year”. And expressed, “Fashion, lifestyle, home & consumer electronics were among top selling categories, while Bengaluru, New Delhi, Chennai, Pune, Coimbatore & Ahmedabad were the top cities in terms of traffic,”. This leading retail provides near about 30 million products of 70 categories, which includes books, media, consumer electronics and lifestyle to its 45 million users which are already registered with Flipkart. 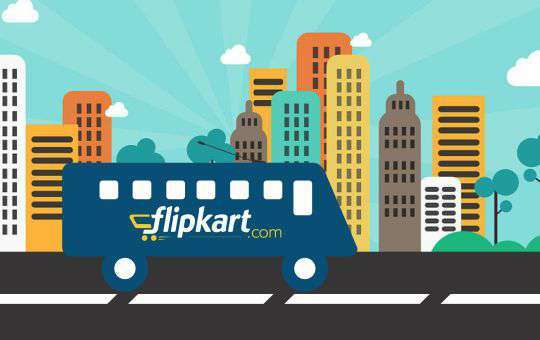 Sachin Bansal, Flipkart co-founder & CEO said, “From new categories & products to innovative last mile delivery, we have created a seamless experience for Indian shoppers,”. The Company also provides e-platform for sellers to reach a larger customer base. Mukesh Bansal, Platform Head declared, “This milestone is testimony to the scale we have built from our selection to technology platform to supply chain capabilities,”. The company is working on selling a billion products in a year through the digital platform. He said, “With 30,000 sellers, our customers have access to a wide range of products across categories and geographies,”. New categories like home & furnishing have done well since their launch. He said, “The way Indians shop has undergone a sea change and we foresee e-commerce apps (applications) emerging as the preferred shopping route, as evident from 75 % of our traffic coming via mobile,”.